The Stephen J. Wampler Foundation provides wilderness programs to a population that deserves a chance to have a normal lifestyle. Most of the participants are in desperate need of guidance and self-confidence, and in many cases, physical and mental neglect have robbed the child of hope. Stephen J. Wampler Foundation's goal is to give each child a chance to create a life that will erase the hopelessness often felt by disabled children. All sponsored programs promote independence, responsibility, and can help fulfill lifelong dreams. It was where I had had so much fun meeting other kids, playing games, learning how to deal with my life and the challenges of camping. When I found it was still there but not being used for a physically challenged kids program, I knew it was important to step up and get it going again, so that others could have what I had had. 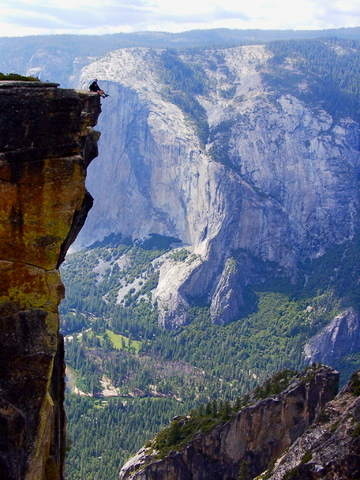 In September 2010, Steven Wampler will become the first person with cerebral palsy to climb to the top of El Capitan peak in Yosemite National Park. As part of fund-raising efforts for The Stepen J. Wampler Foundation, a new organization that will help physically disabled kids live more productive and fulfilling lives, Wampler will scale the summit--twice the height of the Empire State Building--in six days, using over 20,000 pull-ups. He has spent more than a year of intense training for the feat. The entire climb will be filmed and will be the subject of a documentary planned for wide distribution. The Foundation, several years in planning, began its work just this month. After ten years running summer camps for physically disabled children and teens (Wampler's Kids), Steven and Elizabeth Wampler saw the need to expand their efforts. They hope to help provide more opportunities for disabled children and their families in a multitude of ways--from providing green housing for the disabled to sponsoring grants for outdoor wilderness programs, education, and employment. It all began for Wampler when he was nine-years-old. Born with severe cerebral palsy, Steve has been in a wheelchair ever since. At nine, his parents sent him on his first solo camping trip, a weeklong experience for physically challenged kids sponsored by Easter Seals at what was then called Camp Nejedly. It was a life-changing adventure. Because it gave him the hope that he could handle all of the challenges that life might hold for him, he continued to attend the camp every year until he entered college. Not long after, because of financial difficulties, Easter Seals stopped funding the camp and it fell into disrepair and was nearly abandoned. Recalling the difference it had made in his life and not wanting any child to lose hope, Wampler made it his mission to bring it back to life as a place where disabled kids could have a summer camping experience equal to any available to others. "I wondered what had happened to the old camp," said Wampler. "It was where I had had so much fun meeting other kids, playing games, learning how to deal with my life and the challenges of camping. When I found it was still there but not being used for a physically challenged kids program, I knew it was important to step up and get it going again, so that others could have what I had had." Elizabeth Wampler, Steven's wife and co-founder of the Foundation, added: "Camping is especially expensive for physically challenged children and to make camping accessible to them, the Stephen J. Wampler Foundation sponsors all its participants, so that their experience is at no cost to their family or guardians. The cost per child to attend a week of programs is just over $2,300. The Stephen J. Wampler Foundation understands its high cost, because of the special personnel required on site, the special equipment needed, and the extra insurance necessary to operate. We want to make certain this is not a barrier to any deserving child. We are excited about the difference the Foundation will make in the lives of so many. This is our dream and our lives' work." 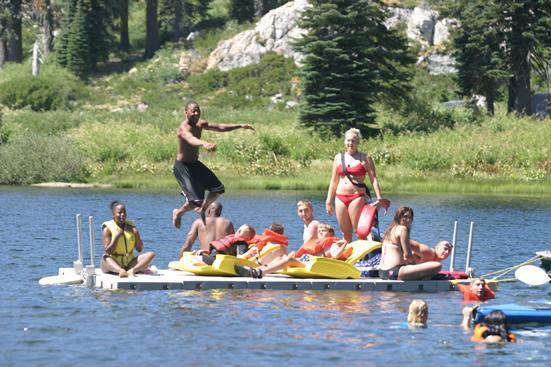 For most participants, the Stephen J. Wampler Foundation is their first adventure program experience. Because they are away from their institutions or families, some for the first time, many of our participants challenge themselves to accomplish daily living activities that their families or caregivers usually provide them, giving them with the opportunity to increase their living skills. As one participant noted, "I now realize that I'm NOT just disabled, I've got so many things to do and accomplish!" Each camper learns new physical skills, has a chance to make friends among a diverse group of abled and disabled people from all walks of life, and learns how important community is to the human endeavor. Each camper has the opportunity to achieve greater emotional, social, and physical independence while developing a sense of personal worth and self-acceptance. They are able to see immediately that they have real chance to live a normal life. The Stephen J. Wampler Foundation has already begun working on the next phase of its programs. 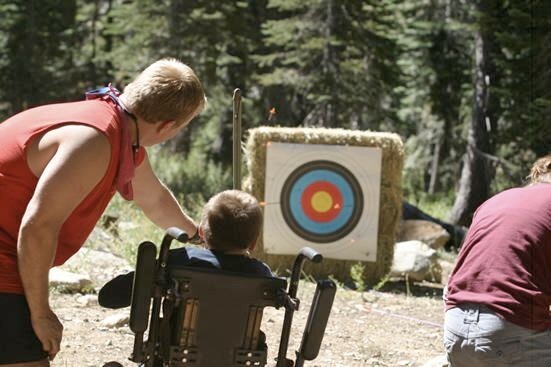 The foundation is currently operating programs in Yosemite in partnership with the Yosemite National Institute and the City of Sacramento's Disabled Service Department Program office to offer outdoor programs to disabled individuals at San Diego and statewide facilities. The Universities of Sacramento, Davis, Berkeley, Stanford and San Diego Nursing Departments are assisting the Foundation in recruiting staff by offering their students a unique internship program. The Foundation looks forward to 2010, which it sees as a year that will see many of its goals and objectives begin to be fully achieved. 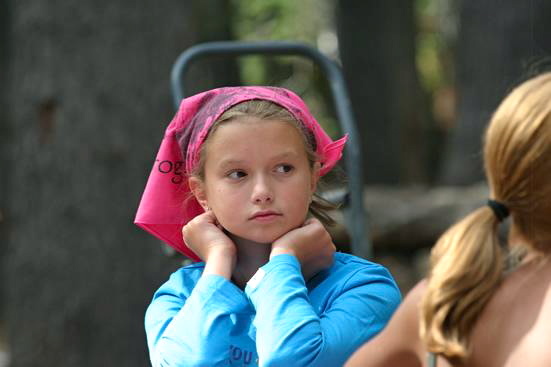 The Stephen J. Wampler Foundation was established to provide outdoor wilderness programs to physically disabled children and teens in an environment where they are challenged to learn new physical, mental, and social skills. The foundation is also involved in other areas that support physically challenged youth--from providing individual guidance to developing green vacation housing for disabled youth and their families. Steve Wampler's example as someone who has created a meaningful life, despite being disabled by Cerebral Palsy from birth, serves as an inspiration to young people who have experienced his life-changing programs or know his personal story. His record of accomplishment also has a profound effect on their families and the foundation's current and future supporters. His leadership and vision is the driving force behind the foundation and a key factor in its success. Many of those that the foundation helps are in desperate need of direction and attaining greater self-confidence. The Stephen J. Wampler Foundation's goal is to help as many physically disabled children as possible have the same opportunity that Steve has had to lead a more meaningful and productive life. All sponsored programs promote independence, responsibility, and the confidence they will need to succeed. See a new video with Will Forte and Will Farrell of SNL on behalf of the Wampler Foundation by clicking here.